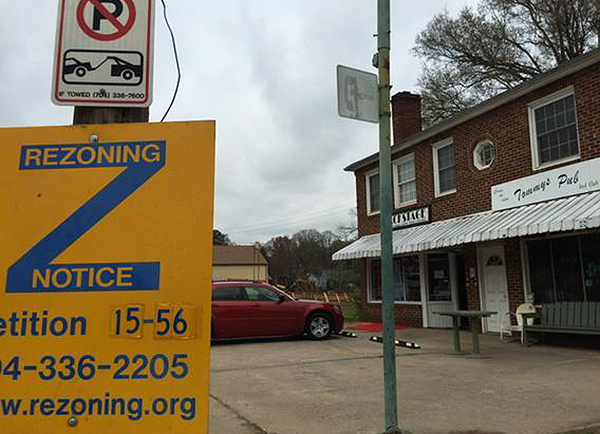 Backstage Vintage and Tommy’s Pub in Charlotte may get evicted because of a rezoning. House Bill 201, which passed the N.C. House, went on to the N.C. Senate where it appears to be assigned to the rules committee. Maybe it’ll never emerge, maybe it’ll sit there until July 3, to emerge when nobody’s watching. It gives developers an easier path to rezoning and takes away neighbors’ power. For the owners of Backstage Vintage and Tommy’s Pub in Charlotte, hyper-growth of apartments and other development in Charlotte is a real thing, pushing them out or into higher rents. Neighborhood protest petitions give neighbors a chance to speak up to preserve the kinds of things that made neighborhoods unique. You can keep an eye on the status of the bill at the General Assembly’s site. You can find phone numbers of senators to contact at Save North Carolina’s Protest Petition. And here’s more background on the bill that would weaken neighbors’ voices in rezonings. 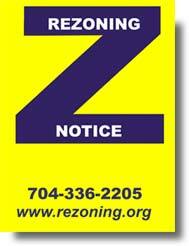 And if you want to weigh in on the rezoning in Charlotte affecting Tommy’s Pub, here’s a direct link to the rezoning application at rezoning.org. There’s at least one good old willow oak that would be nice to preserve, but there’s also ground contamination from an old gas station next to Tommy’s. A new school health bill coming out of the General Assembly in Raleigh would require all new students in N.C. public schools to get a health assessment. Current law only requires kindergarten students to have the assessment, which includes a record of vaccinations. On the surface, the goal of making sure all N.C. students are healthy is a civic good, hard to oppose. However, House Bill 13 fails to provide more funding to county health departments or schools to support parents new to North Carolina, navigating a confusing and overburdened health care system. Imagine moving to North Carolina with three or four children and having to get appointments with a local doctor to fill out yet another form amid the stack of new-school paperwork and moving chores. Imagine that school nurses serve an average of 1,177 students each, which is 57 percent more students than the federal recommended ratio of 1 nurse per 750 students. Imagine that you have 30 days to comply before your kids are kicked out of school. Imagine that it can take several months to get appointments once you find a doctor or locate the county health department (PDF from Charlotte-Mecklenburg Schools). And imagine that you make too much money to qualify for Medicaid or the N.C. Health Choice program to help pay for the exams. That’s not a thought exercise. That’s the reality in North Carolina. Counties like Mecklenburg have made a local funding commitment to more school nurses, but other counties don’t necessarily have the funds to supplement the funding they get from the state. Private schools and home schools are exempt from the new requirements in the bill. Without accompanying funding to support more certified school nurses or to pay for more support from county health departments, the new bill just raises the hurdles faced by families who want their children to get a sound basic education in North Carolina. The bill’s primary sponsor is Rep. John Torbett, R-Gaston (a border county). The bill, House Bill 13, has a fiscal note attached estimating any increased costs to the state, specifically public health departments. It says “any impact to local health departments would be negligible.” (PDF of the fiscal note). For counties like Mecklenburg with a large influx of newcomers, that estimate doesn’t represent reality. The bill has passed out of the House Committee on K-12 Education. Other sponsors include Rep. Bert Jones, R-Caswell, a dentist; Rep. Larry Pittman, R-Cabarrus; and Rep. Chris Whitmire, R-Polk (another border county). You can follow the bill’s progress here. As it stands, the bill is an unfunded mandate for county health departments, especially those with large influxes of newcomers. Those aren’t necessarily just big counties like Mecklenburg. The N.C. governor recently touted a new chicken processing plant for Robeson County (a border county), which had a child poverty rate of 47.8 percent in 2012. Some of those new chicken-plant workers will likely come from out of state, with children who will need help staying healthy and getting access to education. Increasing the hurdles they face for school without increasing the funding to help them get health care is wrong. Sunday papers in North Carolina had lots of strong thundering voices today, and John Robinson has his good Sunday roundup, including stories about open government to mark Sunshine Week. One fact stands out: It’s been 19 months since the Associated Press requested records of emails from N.C. Gov. Pat McCrory’s first public safety secretary. The department’s nine public information officers just don’t have the time to get to all of the public information requests. But one N.C. columnist worth noting goes softer this week: Susan Ladd of Greensboro marks the departure of the ACC basketball tournament from Greensboro for a few years. She’s even kind to the Fighting Irish. Ladd’s now the lead columnist for the newspaper in the middle of this big state, and she’s willing to speak her mind on justice and fairness, including minority and women’s rights. She lays it out in her introductory column from March 8 . She’s already had the expected blowback in letters to the editor and opposing columns, including one from Charles Davenport questioning her credentials. Put me firmly in the camp that is glad to hear Ladd’s opinionated, strong voice on justice and fairness. Given an overall lack of women’s voices on the opinion pages of traditional media in North Carolina, I’m happy to see her new title of lead columnist and hear her independent voice.